Before I could even get started on my siggy swap blocks Rachel starts a pinwheel sampler quilt along. I could not past it up!!! She does the best tutorials. So easy to follow so I know I can do this one. I will be about a 12 week process. We have not started yet. This week we are gathering the fabric we need to get started. I guess next week will be our first block. I can't wait. I ordered my fabric for this quilt on Wed and it will be here tomorrow. Yeah!!! I will get a pic as soon as it arrives. Update on siggy swap fabric...I thought I would not get that fabric till the end of January but I just got an email that it has been shipped out. I should have it tomorrow as well. Yeah!! Lots of yummy fabric in the mail for me!!! Ok, your non-crafty friend is not able to understand some of this post. So, I will just say enjoy doing a project and getting your fabric in! Thanks for your sweet comment. Glad someone else understands the whole twin thing. 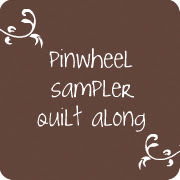 I love your scruffily quilt, and wish I would have signed up for the pin wheel sampler quilt along, maybe I'm not to late, I'll go check! 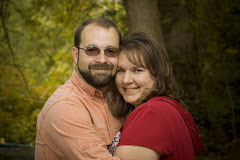 Your blog misses you and wants an update! WOF means width of fabric so you either need a jelly roll or 2 1/2 inch strips that are 42-45 inches in length depending on the fabric you're using. I can't wait to get started on this quilt along should be fun!